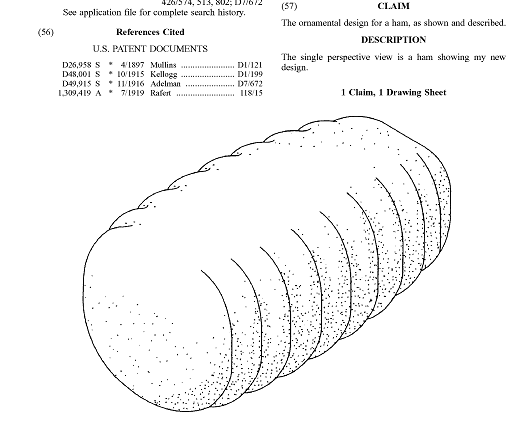 To begin, I am providing a design patent for the shape of “ham.” Ladies and gentlemen, this is no spiral ham, but what a beautiful ham it is. On to course number two. For all of those that like to work for their food, our next festive patent is for an apparatus used to carry your wild turkey. 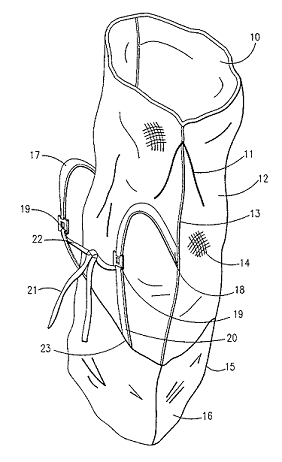 This patented “turkey tote” includes a “blood-proof bottom pouch, No-See-Um mesh drawstring bag top, and a shoulder harness.” Dinner is served. Ohhhh dessert. 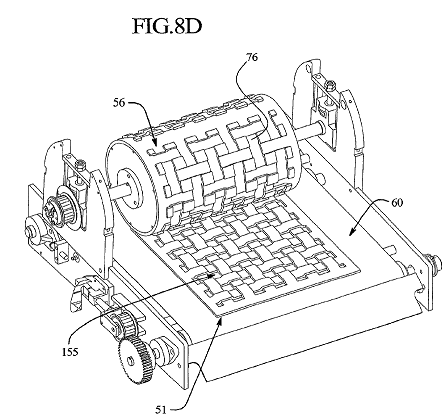 If you have any room left, this next patent is used to make those perfect overlapped pie crust tops. Everyone at Widerman & Malek wishes each and every one of you a Happy Thanksgiving. We thank our clients for their confidence in our abilities to guide them through their patent, trademark, copyright, and other legal needs. Cheers.